It, Kingsman: The Golden Circle, and more. (SPOT.ph) It's officially Christmas season—in Pinoy time, that is. The -Ber months are finally upon us, which means there'll be plenty of stormy days, rain-soaked traffic, and Jose Mari Chan songs playing in malls. Still, we're giving you plenty of reason to brave the weather, because September is filled with amazing movies you can't miss! Don't forget to pencil in these release dates. If its impressive accolades—Best Director at Cannes Film Festival for Sofia Coppola—don't reel you in, its haunting story and star power just might. An injured soldier (Colin Farrell) seeks refuge in an isolated all-girls boarding school. His sudden arrival leads to sexual tension, jealousy, and dangerous rivalries. The cast also stars Kirsten Dunst, Nicole Kidman, and Elle Fanning. The dreaded killer clown from your childhood is back, and he looks more terrifying than ever. 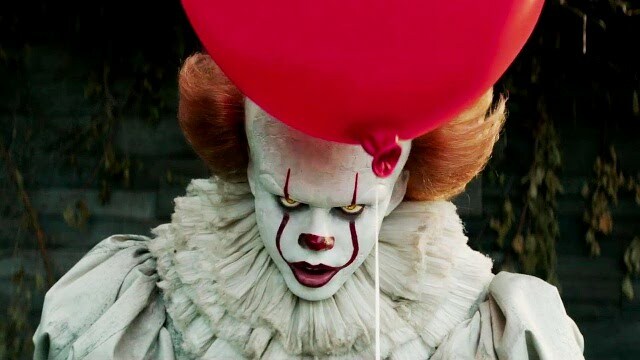 Helmed by Mama director Andy Muschietti, the film centers on a group of young outcasts who band together to face off against Pennywise the Clown. Boasting a story by Stephen King and a script co-written by Cary Fukunaga, It stars Bill Skarsgard, Stranger Things' Finn Wolfhard, and Jaeden Lieberher. Tom Cruise stars as Barry Seal, a pilot recruited by the CIA to provide intel on the communist threat in Central America. The massive covert operation soon spawns the infamous Medellin cartel of the 1980s. Teen Wolf and Maze Runner star Dylan O'Brien plays Mitch Rapp, a CIA black ops recruit tasked to investigate a series of random attacks on both military and civilian targets. The film also stars Michael Keaton and Taylor Kitsch. Taron Egerton and Colin Firth reprise their roles in the action-packed sequel to the 2014 runaway hit. When their headquarters are destroyed, elite secret agents of the Kingsman must now find allies in a U.S. spy organization called Statesman. The star-studded cast also includes Julianne Moore, Channing Tatum, Halle Berry, Pedro Pascal, Mark Strong, and Jeff Bridges. Cinemalaya 2017's Best Film winner is heading to nationwide cinemas. The critically acclaimed gem stars Abra as Hendrix, who dreams of hip-hop greatness but is weighed down by poverty and his criminal past. He forms a life-changing friendship with an old poet (Dido de la Paz), who is still haunted by his suffering under Martial Law. The Oscar-winning director behind 2010's Black Swan returns with a chilling horror thriller filled with an impressive roster of award-winning actors. Mother (Jennifer Lawrence) and Him (Javier Bardem) both live a seemingly idyllic and isolated existence until a man (Ed Harris) and woman (Michelle Pfeiffer) suddenly arrive at their home. The cinematic LEGO universe is expanding again, this time with an action-adventure about a young Master Builder named Lloyd (Dave Franco), who moonlights as the Green Ninja. Led by a wise-cracking sensei (Jackie Chan), he and other fellow secret ninjas must team up to defeat the evil warlord Garmadon (Justin Theroux). Oh, and did we mention Garmadon is Lloyd's dad? Think of this raunchy, female-led comedy as a genuinely funnier—even warm-hearted—version of the critical dud, Rough Night. The critically acclaimed Girls Trip centers on a group of best friends who travel to New Orleans to rediscover their wild sides. Queen Latifah, Jada Pinkett-Smith, Regina Hall, and Tiffany Haddish all star. Reportedly a sequel to the 1990 sci-fi horror of the same name, this 2017 version follows a group of young medical students who study near-death experiences. As their daring experiments become more perilous, they must also deal with the terrifying paranormal consequences that follow. The film stars Ellen Page, Nina Dobrev, Diego Luna, Kiersey Clemons, and Kiefer Sutherland.